The Green Life has some great gadgets. Stocking Stuffers were always fun in my house. We would save them for last and open them together. They were usually just little things, but I was always eager to see what was inside. Santa always filled the stockings for my brothers and me, but my parents would buy for each other. My dad would take us out and we would buy my mom kitchen items ~ fun gadgets or useful utensils that she would need. That was where I got the idea for this post! Of course, I wanted to find Green items and I found the greatest new store to show off to you! The Green Life has LOTS of wonderful things! Here is what we put together for your stocking stuffer! Preserve Measuring Cup Set ~ consists of 4 measuring cups. The handles snap together for easy storage as a unit! The cups also feature a curved bottom making releasing dry ingredients easy as pie. (ha!) 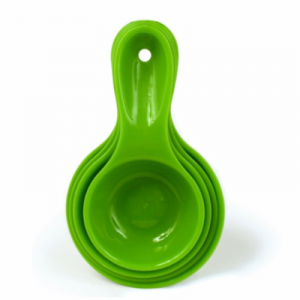 Made from 100% recycled plastic, these measuring cups are dishwasher-safe and recyclable in communities with #5 recycling. BPA Free too! I am thoroughly enjoying these cups! I don’t know about you, but my old ones would be spread all over the drawer – maybe even escape into a nearby drawer too. The snapable feature is great and knowing they are made environmentally friendly is a definite plus for my kitchen! 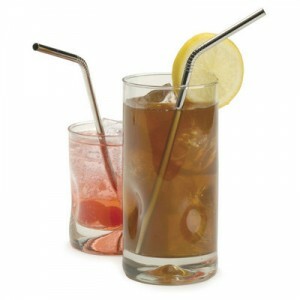 Stainless Steel Straw ~ we’ve talked before on not using plastic straws. We bring our reusable straws with us wherever we go. I wonder how much we have saved so far! I’ve never tried stainless steel before and was eager to do so. I am in love. Why? They do not break!! They are safe for the little ones without us having to keep an extra eye on them. An added bonus? They fit perfectly into my Starbucks reusable cup which is important, right? Last year I put a reusable straw in everyone’s stocking. I may be doing that again with my new stainless steel find! 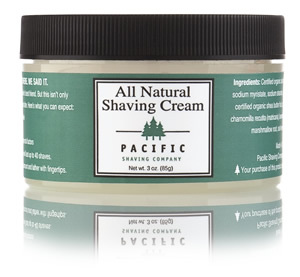 Pacific Shaving Company’s Natural Shaving Cream ~ made with certified organic ingredients. I think we got a tad spoiled with this lotion. Hubby and I have both been using it and we will be sad when it’s gone. It is creamy and silky and goes on very smoothly. A low-lather formula makes it extra unique and leaves our skin super soft ~ even Hubby will admit how soft his skin is and he doesn’t need an extra after shave. Definitely much better than the bar soap I was currently using and the $.99 cream I buy for Hubby. We don’t want to go back! I hope I have helped find some unique, fun, and green items for your stocking this year! Check out The Green Life online store for LOTS more ideas too! Ship Free over $75 or $5 Flat Rate! The Green Life sent me these products for review. I was not compensated in any way and all opinions are my own. Holiday Gift Guide Stocking Stuffer Giveaway ~ Smelly Good! i checked out green life! OMG I love the bamboo compost bin. I have been looking for a smarter choice for our composting needs and this seems perfect!!! I'm trying to get away from plastic in our food storage, so I'd love to try the stainless steel Lunchbots. I would love to have...Ceramcor Xtrema Ceramic Skillet 3 Piece Set. i like the bamboo kitchen compost pail! I like the 100 Percent Pure Body Cream - Vanilla! The Diamond Applique Pillow is cool! I like the apple tree kit. The bamboo compost bin looks great. The ceramic tea pot for my husband, somehow his broke mysteriously between uses. I love the glass water bottles!!! What great items! I'd love to have one of the Neogreene Netbook Sleeves by Greensmart - Akepa, in Blue Ice. I love the West Paw dog toys! So cute! I like the Glass Water Bottles by Life Factory - Midnight Blue (22 oz). I love the garden in a pail mixed herb kit! i love the Coyuchi Sateen Organic Cotton Flat Sheets! The 'produced locally' onesie was so stinkin' cute!! Hi, I'd love to try their Natural Mascara by Honeybee Gardens. I like the Coyuchi Baby T-Shirts. It may not be "fun", but I LOVE Ecover products and they carry a lot of them! I found quite a few items I would like on The Green Life website but I can always use a new cutting board so I would pick "Bamboo Bullet Cutting Board by Bambu - Large, Golden Brown". This http://www.thegreenlifecostore.com/m8/1983--bamboo-baby-clothes-produced-locally-onesie-by-small-plum-organics.html made me smile. I liked the Coyuchi Linen Diamond Applique Pillow! i love the lunchskins reusable snack and sandwich bags...you can put them in the dishwasher!!! This dollhouse http://goblackbetty.blogspot.com/ is one of the most lovely things I have seen. Those straws are pretty rad too! glass water bottles are awesomeee! I liked their paw butter, it might help my dog... he gets sore feet on his walks in the winter due to the salt on the roads. I love the glass bottles, they are my fav to drink from. I also really love the ceramic teapot. Perfect time of year for tea! I like the Simply Fido Organic Cotton Dog Toys - Lolly Plush Lamb, and I'm sure my dogs would too ãƒ… *Thanks* for the giveaway! this would be great for my daughter to take for college. I would love some new organic sheets! I love the 100 Percent Pure Body Scrub - Pomegranate! My man could use a new shaving cream...oh wait...he doesn't shave, he looks like a lumberjack right now! Nothing more fun than a Sesame Street Elmo Reusable Shopping Bag. Pomegranete Body Scrub and the Bamboo Kitchen Compost Pail sound cool. i like the glass water bottles. i love the heirloom mint pot, and the apple tree planting kit! I would love to try their Earth Mama and Angel Baby shampoo and body wash. I really like the BPA-Free Baby Bottle by Green To Grow, it looks so cute! I love all of the kitchen items!! I love the 13" Neogreene Macbook Sleeve by Greensmart - Akepa, Azalea. I'd love the Bambu Spatula! The the baggu bags reusable shopping bags would be nice to have! spcale at yahoo dot com. I like the Plan Toys Modern Table & Chairs. I love the pure sea therapy bath salts! I love the Glass Water Bottle by Life Factory. Oooh, the organic cotton and bamboo sheets look luscious! I'm dreaming about those gorgeous, soft, snuggly looking blankets, too! The Envirosax Sesame Street Grover Reusable Shopping Bag is too cute! Nellie's Dryer Balls - PVC Free! I am dying for an Envirocycle compost bin!